This entry was posted on August 2, 2012 by Christopher Martin. It was filed under Events, People and was tagged with alberta, bragg creek, dancers, dancing, event, first nations, people photography, pow wow, regalia, Tsuu T'ina, tsuu t'ina nation. Hope you feel better. Love the colour of these fancy dancers, the boy’s concentration and the black and white background. 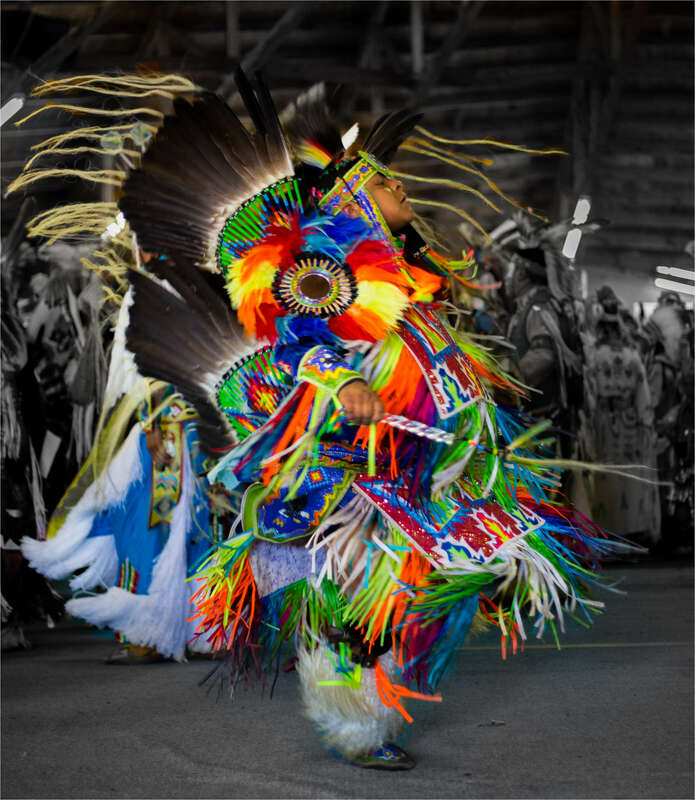 Hi Jane – there is so much vibrant colour and action at the Pow Wows that I like to isolate some of the dancers be saturating the surroundings. Works well here. Some others – not so much. Thanks for commenting.